Approximately 550 people attended the various ShabbatUK events arranged by Brondesbury Park, which kicked off with a huge ladies Challah Make that didn’t just celebrate the mitzvah of making challah, but also featured wine, sushi, music and song. Also part of the build-up was a Whisky and Torah evening at which Rabbi Tatz spoke on the Hidden Dimension of Shabbat. Family activities and a captivating talk from Rabbi Sharon Shalom about his journey to becoming the first Ethiopian Rabbi enlivened the communal Friday Night Dinner no end. The Havdalah programme was equally upbeat, with attendees joining in a musical ceremony and children enjoying arts and crafts activities and a special supper. The challah bake was as ever a great hit and helped create an electric atmosphere in the lead up to Shabbat. The Friday night dinner brought the community together and created the most phenomenal Shabbat ruach which people couldn’t stop talking about. The musical Havdalah was powerful with a number of new families attending who were very moved by it. ShabbatUK kicked off at Brondesbury Park with an uplifting Kabbalat Shabbat service followed by a kiddush. On Shabbat day, a higher than usual attendance created a wonderful atmosphere. After the service, the community were given the opportunity to attend breakout sessions, an opportunity to hear a range of speakers deliver some fantastic thought provoking talks, providing deep insights and understandings of Shabbat. This was followed by a large communal lunch, with the opportunity to hear more speakers. The breakout learning sessions on Shabbat morning were particularly impactful and were attended by over 130 people. 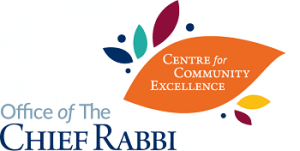 The strong attendance has demonstrated that there is an appetite for this sort of programme and has also shown that Shabbat morning, being a natural time for people to tap into community, is a conducive slot to draw people into learning.